1642 Square Feet (153 Square Meter) (182 Square yards) 3 bedroom modern home design. 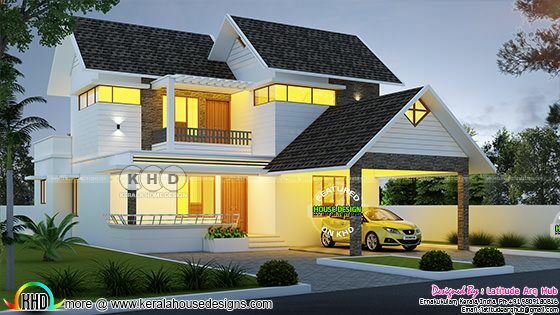 Design provided by Latitude Arq Hub from Ernakulam, Kerala. 0 comments on "Superb 3 bedroom modern double storied house plan"